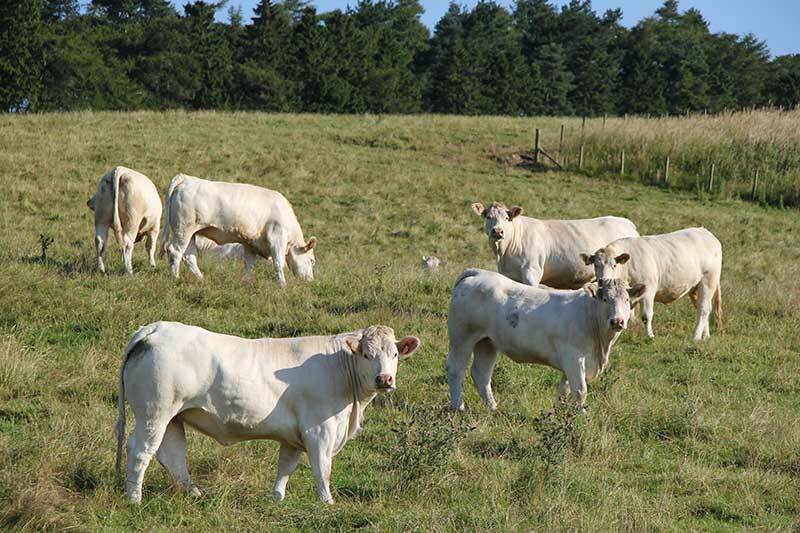 We have decided to only enter five bulls for the October sale this year. 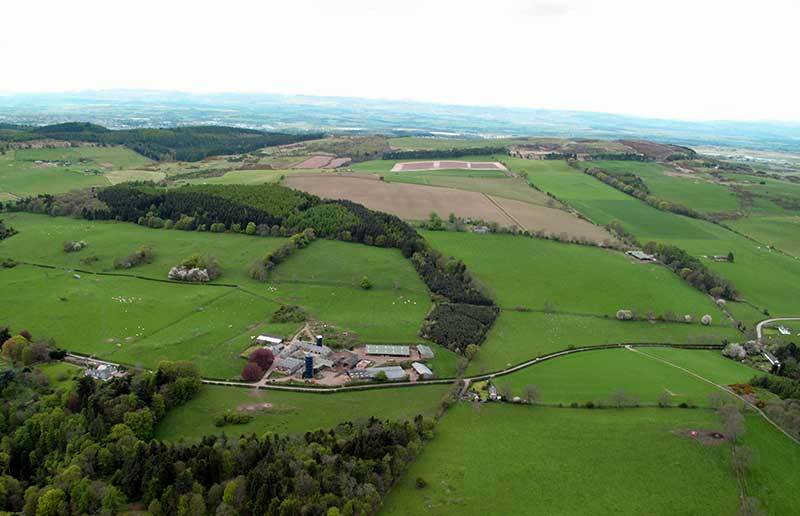 After a summer of wall to wall sunshine and no rain, most livestock farmers have been struggling to grow enough grass for summer grazing and silage for winter keep. To make matters worse the price of straw is severely effecting cash flow. 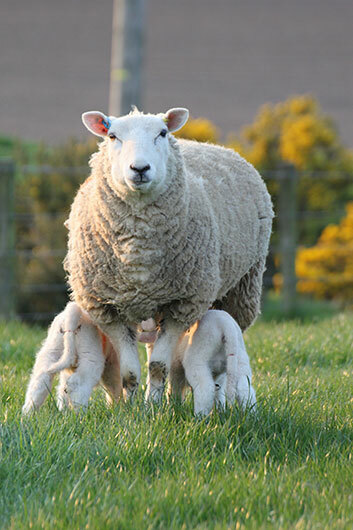 Arable farmers have risen to the challenge of supplying livestock farmers with enough straw for their winter needs but at a price which is unsustainable in the long term. 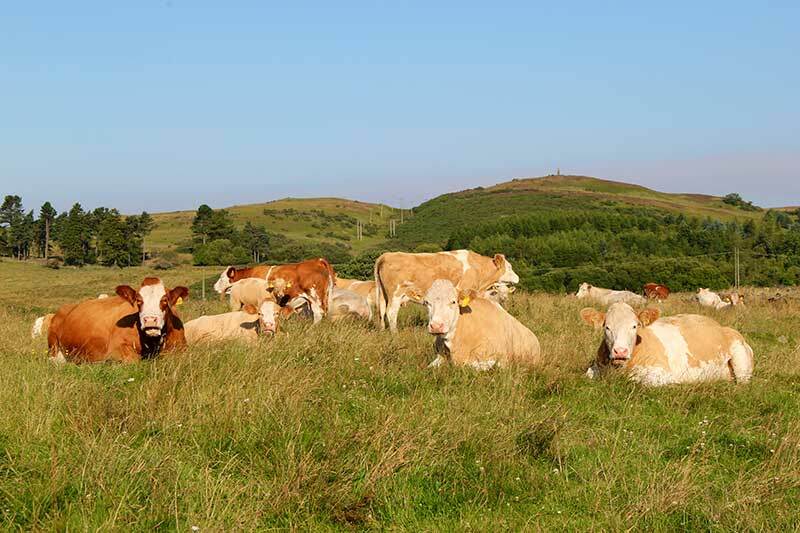 The price of store cattle and prime cattle for slaughter has remained very similar to last year and will not cover all the cost increases which have taken place. 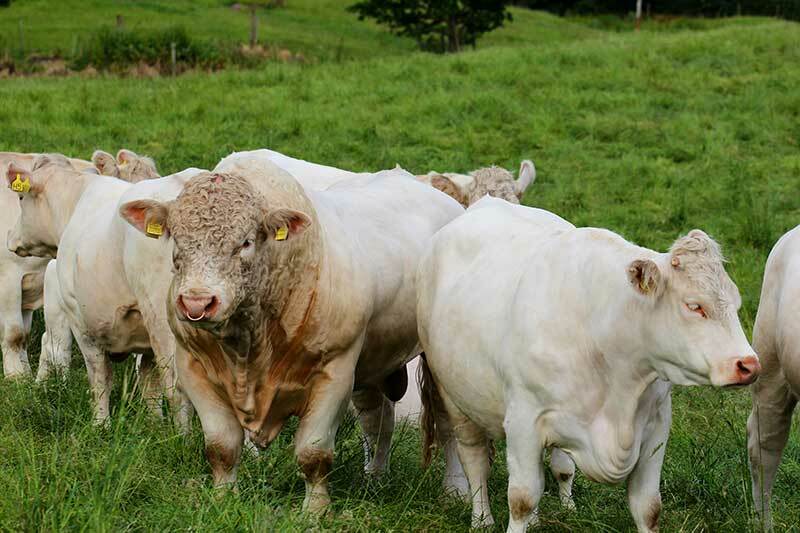 With Brexit negotiations reaching a critical point and a shortage of cash among livestock farmers, the demand for bulls of all breeds is likely to be less than normal so we are keeping most of our bulls back for the February and May sales but as always we are open for private on farm sales over the winter months. Balthayock Nathan. 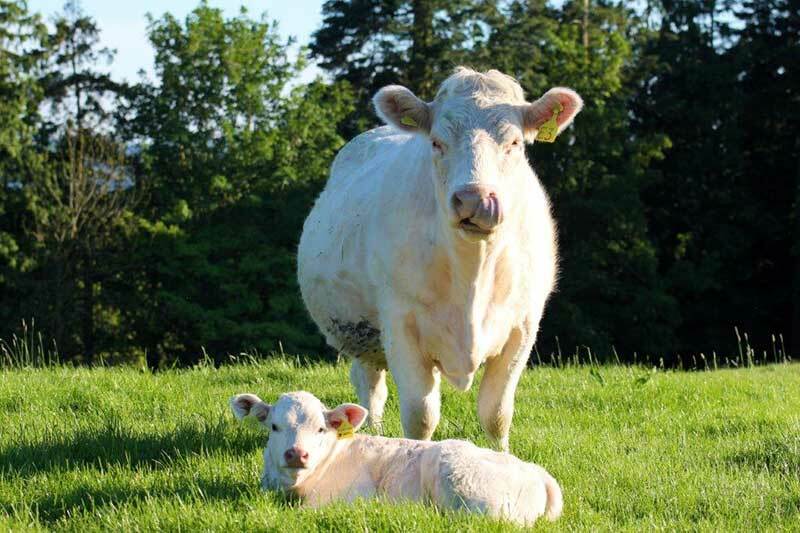 Sired by Balthayock Adonis who we have used successfully for many years on our heifers because he has proved to be so easy calving, a trait he has passed on to his well-known son Blelack Digger. Gold is the dam of the 16,000 guinea Balthayock Mandate who was reserve senior champion at Stirling last February. Johanna is a daughter of Ugie Echo, a reserve junior champion at Stirling in his day and a bull renowned for his easy calving, temperament, and excellent feet. Balthayock Ninian. Another son of the short gestation and easy calving Balthayock Adonis. 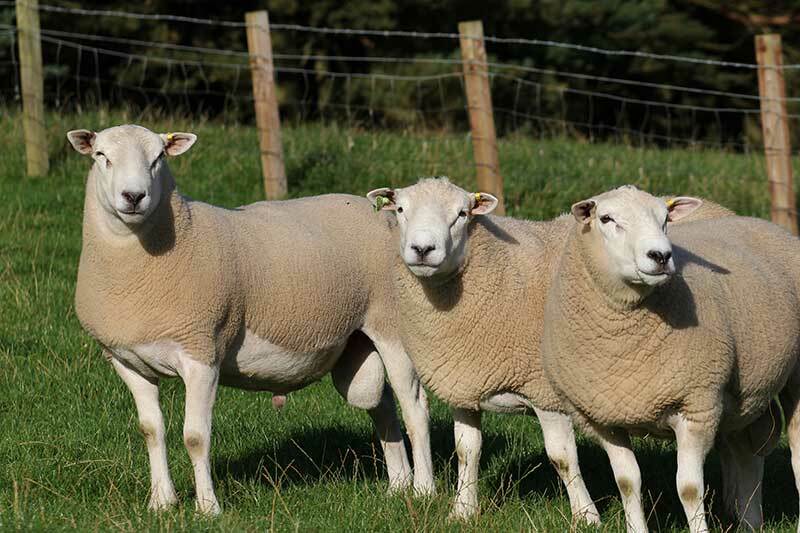 Ninian’s dam Jacquetta is sired by Ugie Echo who has sired many successful bulls such as Balthayock Jonathan, sold to Seawell for 13,000 guineas, and Balthayock Lineup, sold to Marwood for 16,000 guineas. We have kept one of his sons Balthayock Maximillian for our own use to take over from Echo in due course. Balthayock Narvic. Sired by Maerdy Grenadier, Royal Welsh junior champion and male and junior interbreed champion at the RHS in 2013. He has been hugely successful both with us at Balthayock and in Jim Muirhead’s Firhills herd, siring many high priced bulls such as Balthayock Loyalist, junior champion at Stirling in October 2016 and sold for 14,000 guineas and Balthayock Mandate, reserve senior champion at Stirling last February, and sold to the Ballantrae herd for 16,000 guineas. Balthayock Ingrid is a granddaughter of the famous Balthayock Rosita. Balthayock Neptune. Sired by the home bred Balthayock Imp, who was junior interbreed and male champion at the RHS in 2015. He has already proved himself as one of our leading herd sires with Balthayock Manifesto sold to Seawell for 19,000 guineas and Balthayock Mikado sold to Kersknowe for 14,000 guineas last February. Balthayock Decima has bred sons to 15,000 guineas. Balthayock Nexus. Another son of Balthayock Imp out of a Swalesmoor Cracker daughter, Balthayock Izzy. Cracker sadly now deceased, was one of our most successful herd sires leaving us some top class cows and siring many expensive bulls. Izzy’s dam Balthayock Edwina, is by Balbithan Vespasian, a successful sire at Balthayock and Balmyle, and her dam Balthayock Unwary is the mother of Balthayock Impression, the highest rated bull in the national herd.